From the Netherlands? Make sure to have a look at our Dutch casino site version of CasinoWarehouse.eu. In the battle to bring poker to locations like New Jersey, the actions and opinions of many mayors was being closely scrutinised. These were the people who were looking to have an influence on the final decision that was made. 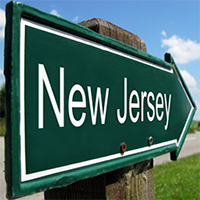 While states like New Jersey managed to create a situation where people can enjoy poker from the comfort of their own home, not every Mayor was in favour of bringing poker to the state. This is why it will be interesting to see mayors from all across New Jersey making their way to Atlantic City for some poker fun. Of course, you can rest assured that mayors will be acting in their typical fashion and this means that while mayors will be enjoying poker games in Atlantic City, they will be using other people’s money to do so! However, before you think that this is the latest political scandal to engulf America, the mayors are going to be playing for charity, as well as doing their bit to provide support and awareness for the internet gambling industry in new Jersey. This means that while the mayors will be playing poker in a physical room, there will hopefully be a boost to the many poker sites and players in the state. One such site is Full Flush Poker, and you can be that there will be plenty of poker loving mayors who are well acquainted with what Bovada Poker has to offer, even if they won’t admit it in public! Some of the mayors who have confirmed that they will be present include Don Purdy, the Galloway Township Mayor. The event will also be bolstered by the appearance of David Salkin, who is the Freehold Township Mayor. Other mayors who have confirmed their attendance well in advance include John Ducey and Steve Fulop, who hails from Jersey City. The event is also a great way for the people behind the gaming industries and sites in new Jersey to get in touch with the people at the top of the political tree in the state. It is never a bad thing to be able to press the flesh with the people that make decisions, so you can bet that representatives from companies like Caesars and Borgata will be in attendance at the big No Limit Hold Em event. The event is expected to take around an hour to play and the mayor that wins will receive $10,000 to donate to the charity of his own choice. It may not be online poker but this is an event that can only have some benefit to online poker players in New Jersey.